Taking pictures/videos in secure areas. Using your camera remotely without your knowledge; to spy on you, stalk you or harm you is very easy. Cameraless is the perfect anti-spy camera jammer application. Cameraless is also useful for those who work at secure environments. One time only – define your workplace location and let Cameraless block your camera automatically when you’re at work. You can also protect your settings with a password so that the app will always function and your device will constantly be protected while you’re at work. Additionally, special notification allows you to verify the status of your device’s camera. Please note: When the application is password-protected, the level of security is at its maximum. Even when your device has no cellular location reception or when you are in Airplane Mode, your camera stays blocked. Don't miss the PRO features with the camera blocker widget and the one-click shortcut to activate the camera even when it is blocked. Enable / disable camera manually, by time of day or location from the main screen. Select “Whitelist” from the menu. A list will be displayed including all apps installed on your device. 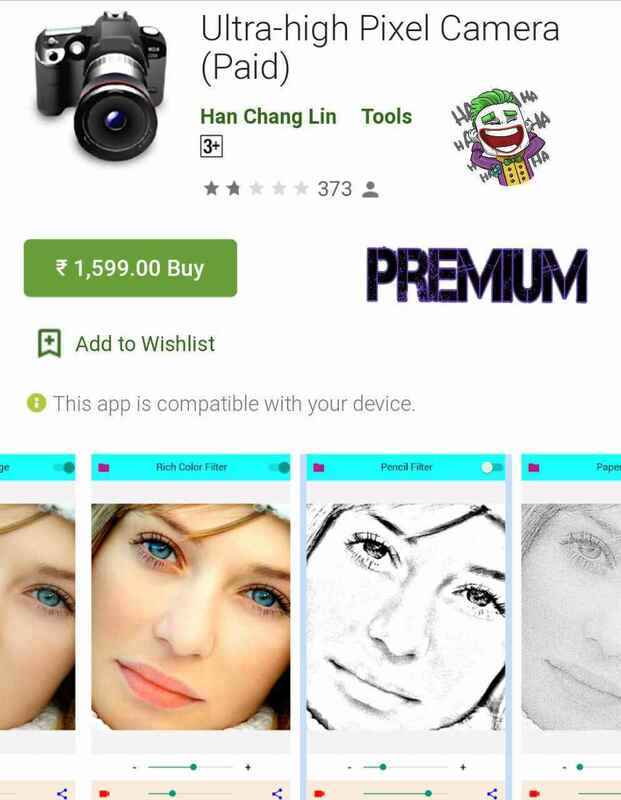 Select any app you want to authorize to use the camera even when it is blocked. 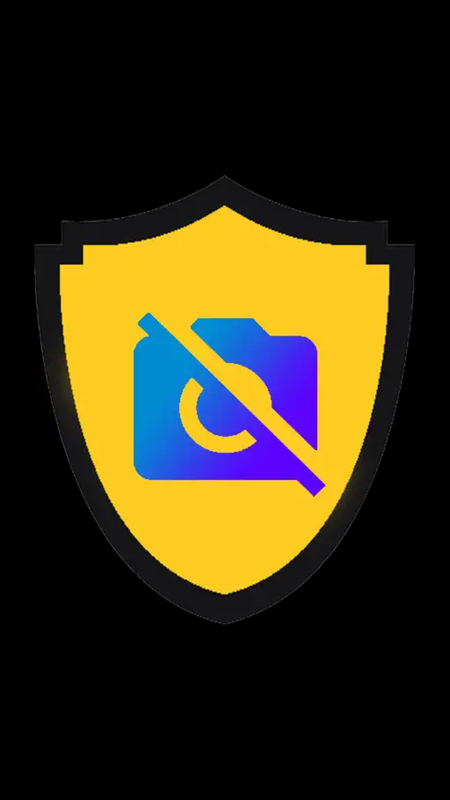 Return to the home screen and you’ll see that for every application you have defined, a special Launcher icon has been added which offers camera access to the app at all times, even when blocked. After closing the app, the camera will automatically be blocked either immediately or as per“Delay time” settings you’ve defined on the Configuration screen. Insert the center location (lat,lon) of the target area where your phone should be disabled. If you are standing in the center of the target area you can click on the "Set current location" button and the center location will be updated accordingly. Insert the radius (meters) within which your camera will be disabled (around the center location). That is all – your phone will become camera-less when you are in the target area and vice-versa. ¶ High-quality photo snapshots and filters. Want to decorate the photo or convert the photo to: Sketch? Comics? Mosaic? ... and so on. This application can suit your needs! (2) Support up to 8K resolution photos (8192 x 8192 pixels). (1) A key photo shoot. (2) A key to share photos to social networking sites, e-mail and text messages. (3) Deal with album pictures. (4) Image filter weight adjustment. (5) Click the picture automatically saved to the album. (1) Click on the top left corner button: Select the photo from the album. (2) Zoom in or out of two fingers: Adjust the image area. (3) Drag the bottom of the scrollbar: display filter effects. (4) Click the other function buttons: to share photos or take pictures. 🅿️ This UHD 4K Camera Pro will turn your phone into professional camera like, with fully manual control on ISO, shutter speed, exposure, manual focus and another features like a professional camera, which can bring your mobile photography to the next level. Take the best capture of your photo and even record your video in high resolution. ✓ Save to internal /external memory. ☢️ HD Camera Pro provides perfect quality for previewing and recording, intelligent shooting modes, real-time funny effects, picture-in-picture functionality when multiple cameras are connected, and quick sharing to popular social networking sites. The revolutionary camera that adapts like the human eye. Capture stunning pictures in bright daylight and super low light. The camera that's brilliant in the dark. The camera that slows down time, making everyday moments epic. 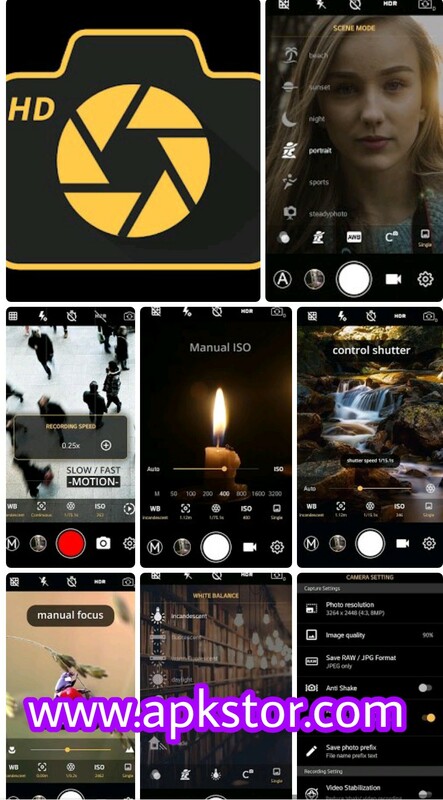 It's the best camera application you can get for your phone.